Our wooden Teddy Bear with engraved face and cut out ear detail would make a welcome addition to any craft project. 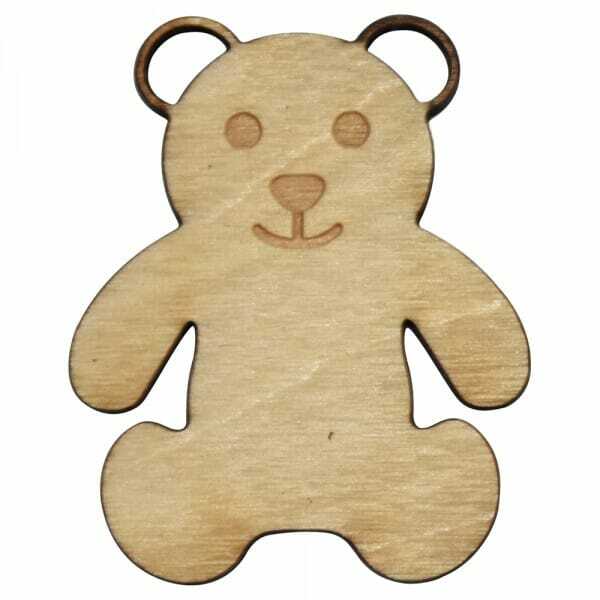 Made from 3mm Birch wood our Teddy Bear design comes in a variety of sizes ranging from 25mm to 250mm. These wooden shapes can be painted, glittered or covered by colourful decoupage and added to your designs with ease. Customer evaluation for "Craft Shapes - Teddy Bear"